Our Winter 2017 byDESIGN Newsletter is here! Click here to download the PDF version. 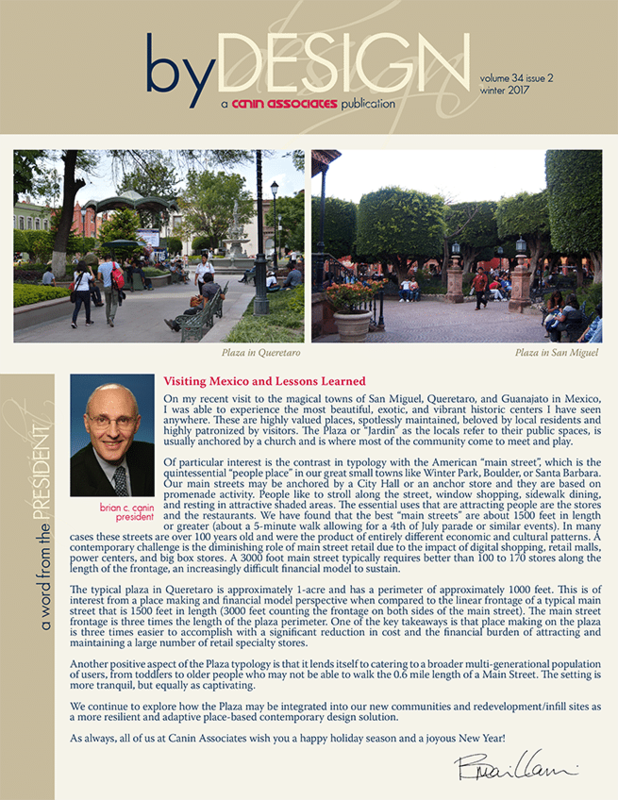 This edition features an article on the beautiful and exotic plazas of Mexico and how they contrast with American main streets. Also inside you’ll find articles from our Urban Planning, Landscape Architecture, and Architecture studios about our latest projects, achievements, and community involvement. A vision takes shape for Mercy Drive. Design excellence on display at Eagle Creek. Updating elegance at Grande Lakes Resort. From all of us here at Canin Associates, we wish you a happy and successful 2018!